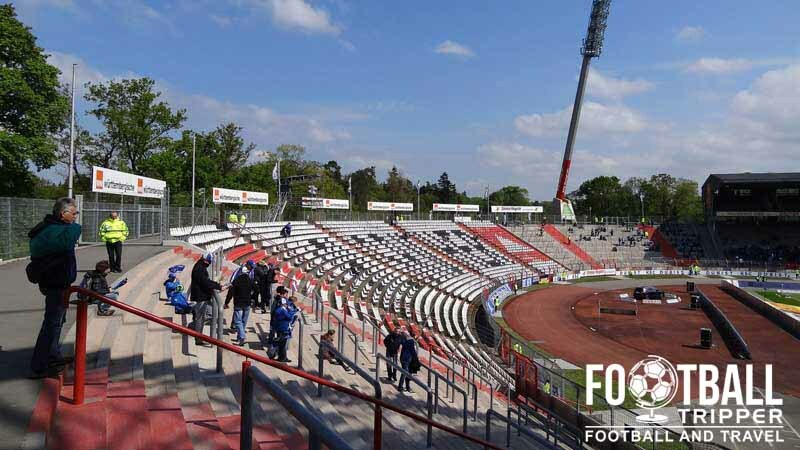 Wildparkstadion has been the home ground of regular 2.Bundesliga team Karlsruher SC since opening back in 1955. 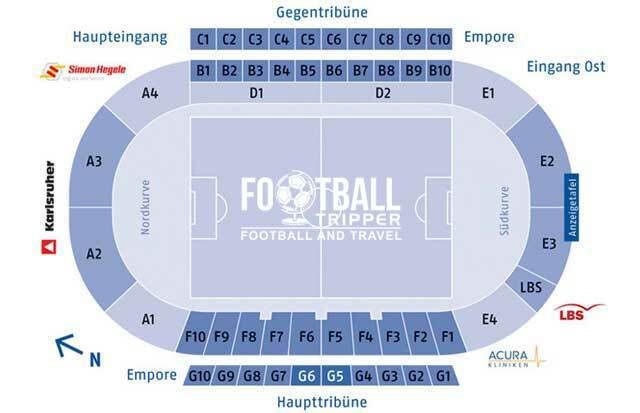 Located in the south-western city of Karlsruhe in Germany, the ground has a large capacity of 29,699 but only 14,724 of this is seating. Wildparkstadion first opened in 1955, however the site on which it sits, a former deer park, has been used to host football matches since at least the 1920s. Today, the multi-purpose stadium sits at the heart of this sports complex which contains numerous facilities including four grass playing fields, one artificial football pitch, tennis courts and a large sports hall. 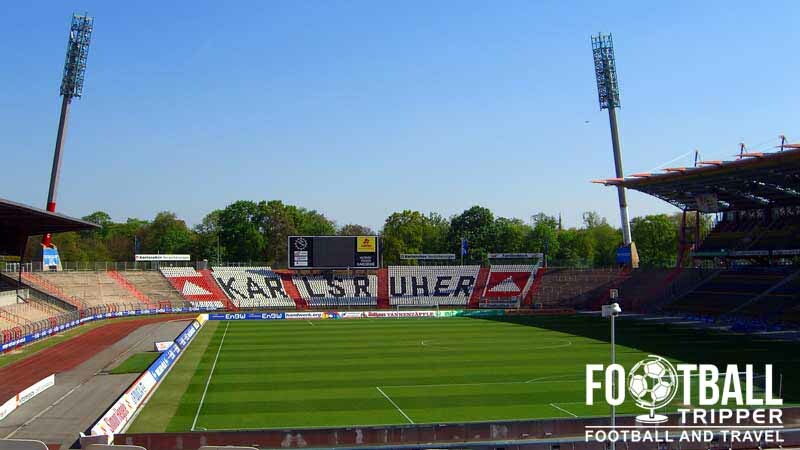 Built to replace the club’s former Hardtwaldstadion home, the inaugural football match was held on 7th August 1955 between Cup holders Karlsruher SC and German Champions Rot-Weiss Essen. Attended by a large crowd of 45,000, Wildparkstadion was one of the finest stadiums of its day, and thus was often used to host matches of Federal Republic of Germany in the 1950s until the 1970s. 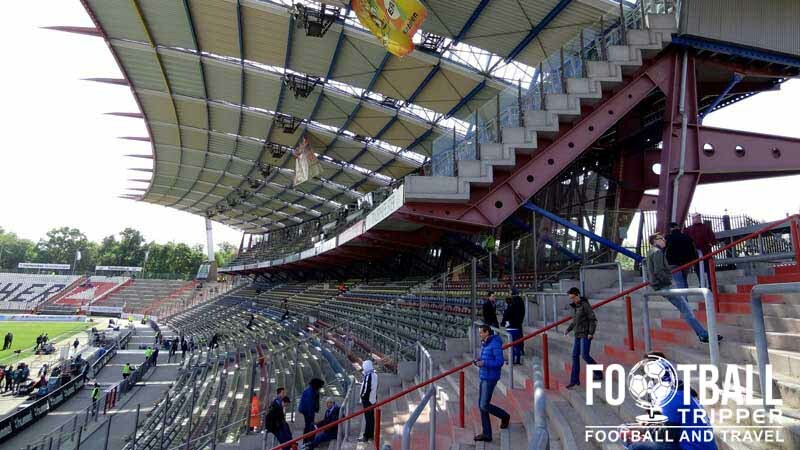 As Wildparkstadion faced the prospect of becoming seriously outdated at the turn of the millennium as a new wave of German stadiums were built, a new 6,400 capacity grandstand was constructed. Containing 24 VIP boxes as a response to this growing source of matchday revenue, the new stand was inaugurated in 1993 with a preseason friendly against Borussia Dortmund. 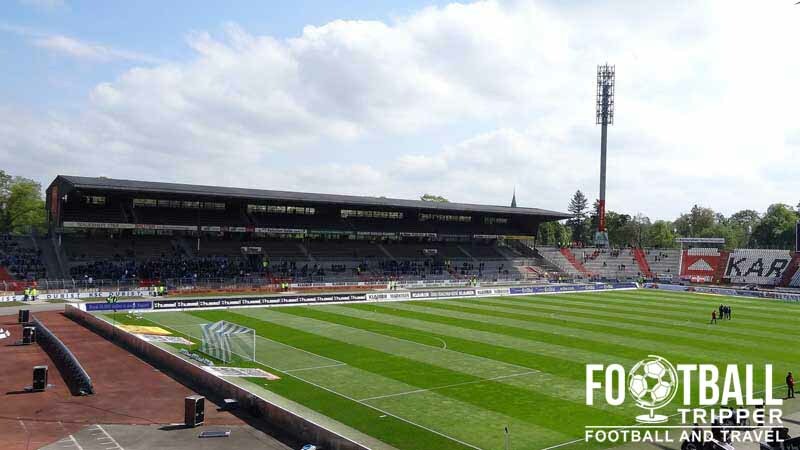 In 2006 the city of Karlsruhe and Karlsruhe SC prematurely announced that Wildparkstadion was set to undergo €60 million euros worth of renovations to transform the stadium into a purpose-built football ground. The plans which were stalled due to a lack of financing, and later from interest from Karlsruhe Institute of Technology in purchasing the land would have seen the construction of a new 35,000-45,000 capacity venue. The project was officially killed off in October 2014 when the City of Karlsruhe finally rejected the reconstruction of Wildparkstadion on economic grounds. Working in conjunction with Karlsruher SC, the city’s council is expected to announce plans for a brand new stadium on a new location in time for the start of the 2015/2016 season. Wildparkstadion is comprised of four stands: North, East, South and West.